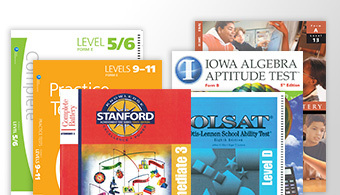 As your child advances in learning, he should also be progressing in his test-taking skills. 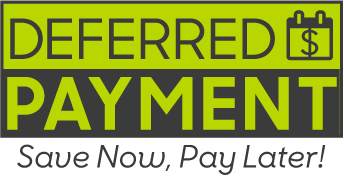 Abeka’s classroom-proven tests smoothly transition your child to formats and questions on a level appropriate to him at a cost affordable to you! Illustrated sections test your child’s recognition of God’s creatures and handiwork. 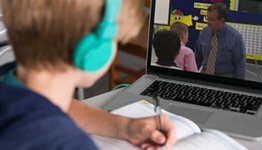 Discussion questions that ask him to explain both what and how or how and why develop his critical thinking and test-taking skills. In addition to 8 unit tests, 3 nine-weeks examinations are provided that are cumulative from the beginning of the year. 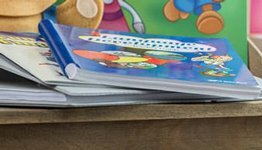 The 11 tests are correlated with the text Observing God’s World, 4th ed., and the Homeschool Science and Health 6 Curriculum/Lesson Plans, which includes nine weeks of health study to complete the school year. Extra reinforcement for the tests is found in Observing God’s World Quizzes and Worksheets. 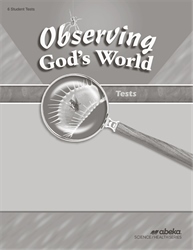 Answers and grading guidance are sold separately in the Observing God’s World Test Key. Grade 6 (27 weeks).